SCHEDULE YOUR COMPLIMENTARY CONSULTING SESSION TODAY! DO YOU WANT TO HEAL YOUR CHILD? Dr. Sandy’s work proves that, inside every child, no matter what they are struggling with, there is an extraordinary being with remarkable talents and strengths. She teaches parents how to connect, behave and communicate in ways that will set this amazing child free. DO YOU WANT TO HEAL YOUR STUDENT? Dr. Sandy Gluckman’s Program, Teaching That Heals The Brain, shows teachers how to heal the student's brain while teaching. This totally unique combination of healing while teaching, takes special education to a whole new level. When your child's symptoms of learning, behavior or mood problems are gone, you can say your child is healed. This is very different to 'managing' these problems, which means the problem still exists. 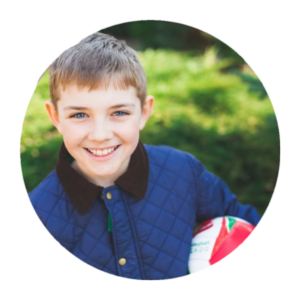 I will identify and treat the underlying causes in your child's spirit, body and brain. that are creating your child's symptoms. This is very different to just putting a band-aid on the symptoms. Every child needs to be parented according to their unique needs and temperament. You will learn exactly how to be a healing parent for YOUR child's specific academic, emotional and behavioral challenges. Children hurt when their parents hurt. They heal when their parents heal. I treat individuals, couples and families depending on what is required in each situation to help the child heal. 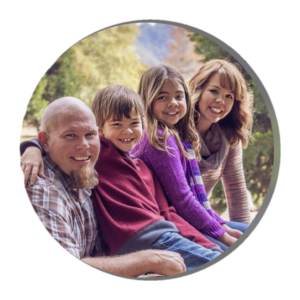 WANT TO KNOW HOW YOU RATE AS A HEALING PARENT? "​Reaching deep into my soul." 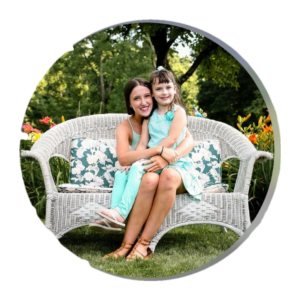 "I want to tell you again how impressed I am at the truly holistic way you are addressing the learning and behavior challenges in my daughter. The changes in her, in a short time, are remarkable. My wish is that all the parents out there will follow your wisdom - they have so much to gain." "Dr. Sandy, you opened up a completely new world for me as a teacher. I gained so much information about how the brain works. I wish I would have had this training before I became a teacher. I really believe it should be required for every student that is learning to be a teacher." "Your teacher education workshop reached deep into my soul. The information and tools you shared with us changed everything I used to think about what it meant to be a great parent and teacher. 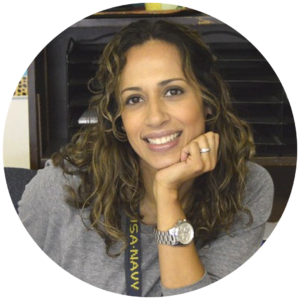 Your workshop was a wake-up call for me about how to connect with my students in a way that helps challenged learners reach their full potential. You gave me so much hope." "Dr. Sandy, I get so much out of my sessions with you and from the support group. I just want to soak up all you have to share! Thank you for the tools, examples and reminders! And thank you for the most amazing attitude shift that allowed me to give myself freedom to drop whatever expectations I thought I needed to place on my boys. Now I just allow myself to focus on each of their individual needs and talents and enjoy how precious they are! I appreciate you so much Dr. Sandy!" 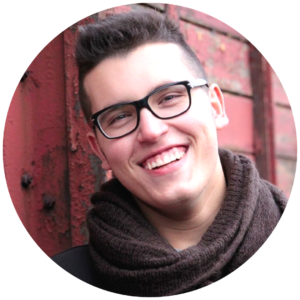 "We were at the end of our rope, but with Dr. Sandy's tools we have seen a transformation in our son that we could not have imagined. He is now so much more agreeable, calmer, sweet and loving. It feels as though a cloud has been lifted from him. He is also much more confidant and his self-esteem is building." 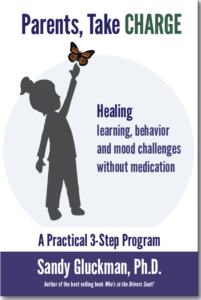 Dr. Gluckman offers a proven and effective medication-free option for healing learning, behavior and mood problems. She strongly advocates using medication as a last resort for children with these problems. Dr. Sandy believes there is a problem-free child with a healthy spirit, body and brain, trapped behind the layers of learning, behavior and mood symptoms. She teaches parents how to free this child by treating underling causes and by using the parent-child connection in a way that changes the brain. The book is written in an easy-to-read, engaging way, complete with illustrations that demonstrate the hands on tools. It is filled with research, information, stories and case studies that bring to life the benefits of her Healing Parent Program. It is based on the newest research drawn from functional medicine, interpersonal neurobiology and psychology, as well as Dr. Gluckman’s own clinical experience. How to know if Your Child’s Behavior with Social Media or Video Games is a Sign of Addiction. 8 Ways to Prevent or Reverse Addiction. 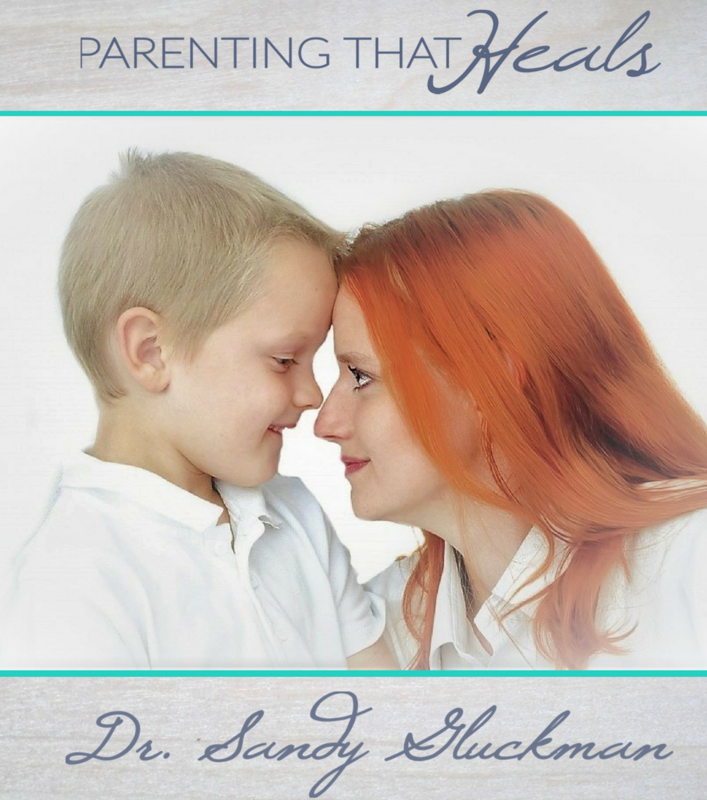 In this FREE Training, Dr. Sandy Gluckman guides you through the 7 essential keys that will help you successfully resolve and heal your child’s problems - plus two powerful foundation parenting tools. Dr. Sandy’s specialty is in teaching parents how to use their relationship with their children as a powerful healing tool. Take advantage of this amazing opportunity to connect directly in your free 20 minute session. Included in this toolbox: ​SIX VIDEOS: 3 Information Sessions | 3 Tools | BONUS MATERIALS: 1. Dr. Sandy’s Parents Take Charge Book 2. A follow-along workbook and scorecard 3. The Healing Parent Facebook Group.